Bundle Stars has leapt into the seasonal sale action with some Black Friday deals of its own, including an offer for a discount voucher that can be used for anything on the site. The Supernova Sale may not be on the level of, say, the Steam Discovery Sale, but there are still some sweet deals on tap. The point-and-click adventure Memoria is 80 percent off, dropping it to $4; the expansive Darksiders Franchise Pack is 85 percent off, leaving it at $9; the strange Russian off-road driving sim Spintires is $18, a drop of 40 percent; and so it goes. Dozens of games are on sale, some reduced by as much as 90 percent. 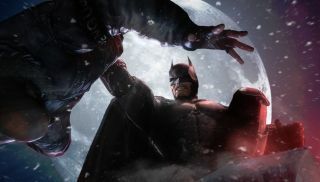 The big hook, though, is Batman, specifically the Arkham Asylum Game of the Year Edition, the Arkham City GOTY Edition, Arkham Origins, and the Arkham Origins season pass, which can be had for $5 each. You can bump another 25 percent off that price by signing up for the Bundle Stars newsletter, which will net you a voucher applicable to all bundles and individuals games in the store. The Bundle Stars Supernova Sale is live now and runs through Sunday.